The Mets are going to promote Dom Smith right away to distract from the Bruce salary dump scandal. I tweeted this at 11am. Six hours later the Mets did exactly what I said they’d do. The Wilpon playbook is so predictable, and this was the obvious move to make to distract from the Jay Bruce trade scandal. The next page in the Wilpon playbook says that Sandy Alderson needs to make a statement refuting the media reports that indicated the Bruce deal was purely a salary dump and that the Mets passed on a better deal with the Yankees. Check. The next page in the playbook says the Mets’ front office needs to anonymously smear the Yankees in the media. A Mets official on the Bruce to the Yankees talks: "If they would give us something of [bleeping] value, maybe we would make a deal." Also, the Mets evidently were not happy that the Yankees, with their $200 M-plus payroll, wouldn't absorb all of Bruce's salary. Another Mets offficial: "When we were looking for players last year, the Yankees weren't exactly rushing to return our calls." Looks like the Mets covered all the bases. By the way, it goes without saying that I’m extremely pumped to see the debut of the Mets number two prospect. 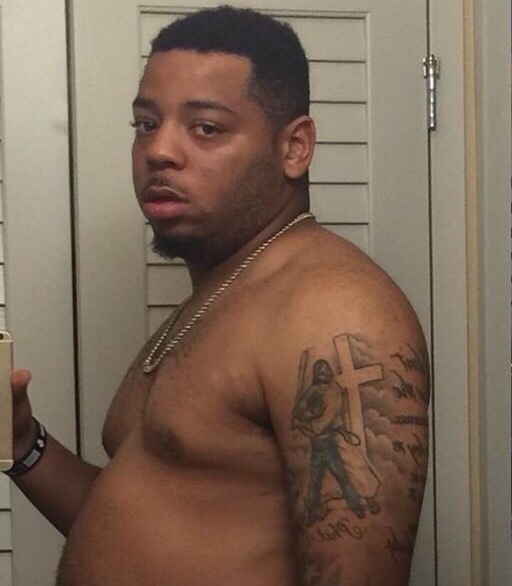 Dominic Smith is supposed to be awesome. The scouts say the guy has OBP skills, pop, and provides Gold Glove caliber defense at first base. He also used to have a Pablo Sandoval body type as evidenced by that old picture above, but supposedly he’s in much better shape nowadays. One thing I did notice in the picture above is the incredible tattoo that Dom has. Is that Jesus teaching him to swing a baseball bat? Is at an Angels in the Outfield tribute? The Mets sure as hell could use some angels in the outfield, infield, and especially the bullpen. It’s nice to see that Dom has a strong relationship with God. He better pack his damn rosary beads when he leaves Vegas because he’s going to need help from the man upstairs if he has any hope of surviving in a Mets uniform. From Ray Ramirez undoubtedly exacerbating Dom’s first minor injury to Terry Collins inevitably doing something that hurts his confidence, there’s no shortage of ways for the Mets’ organization to stunt his growth. But I hope and pray that Dominic overcomes all those obstacles and turns into an awesome Met. I’m rooting for him. P.S. Dominic Smith is the last highly rated prospect in the Mets’ farm system. That’s it. The cupboard is bare. We may not have one top 100 prospect on next year’s MiLB list. Remember when the Mets let scouting director and analytics guru Paul DePodesta (aka one of the original Moneyball guys) leave the organization to work for the Cleveland freaking Browns? Maybe they should’ve made a lucrative counter offer to try and hold on to him. Considering the farm system has run dry, it seems he may have been the brains behind the scouting operation.